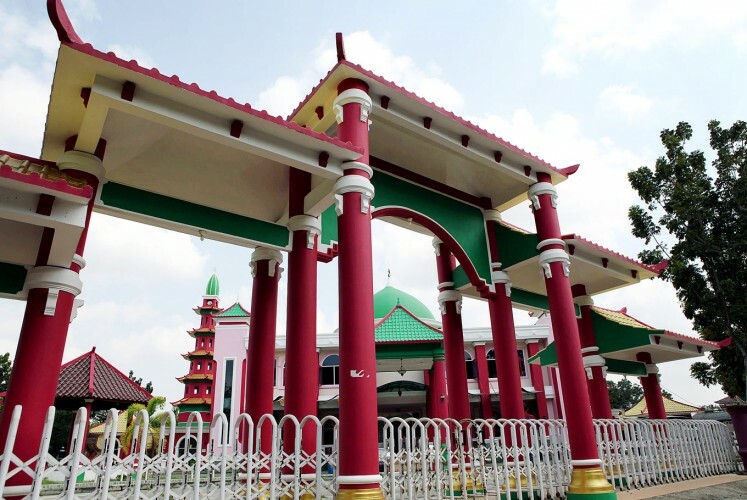 During the spice and silk trade era, the city of Palembang in South Sumatra was a port where traders from China and the Middle East gathered, resulting in the unique architectural design of local mosques. In that era, which reached its peak in the 16th and 17th centuries, traders acted as middlemen and visited Palembang to distribute spices, silk and porcelain in the then-East Indies. International traders assembled in the port city instead of going straight to the sources of spices and other commodities such as porcelain and silk, because the sites where the objects were sourced and manufactured were heavily guarded and kept secret by local traders. Those who wished to venture into these secret places had to step over the local traders’ dead bodies, so to speak. Therefore, as a big port, Palembang was also a gate for Islam to spread to Indonesia, particularly by Arab traders and a famous Chinese trader named Zheng He, locally known as Cheng Ho. Zheng was the great-great-great-grandson of Sayyid Ajjal Syamsuddin, a man from Persia (now Iran) who served as the governor of Yunnan around the 13th century during the Mongol Empire’s Yuan dynasty occupation of China. At that time, the Mongol Empire also controlled Central Asia. Muslims from this region were often sent to predominantly Confucian China for official duties. Soon, Muslims settled in China, assimilating with local cultures and changing their Arabic names into Chinese ones. The Muslim explorer helped establish strong trade ties between the East Indies and China, helping early Muslim Chinese immigrants in the region assimilate with local cultures while helping the spread of Islam along the way through marriages across different ethnic groups, which encouraged religious conversion among locals. Thanks to the legacy of Cheng Ho — who carried with him both Persian and Chinese influences — and Arabic traders, travelers today can still witness the unique blend of Chinese and Arabic influences in several Islamic landmarks in Palembang, a testimony to how people from different ethnic groups lived alongside one another in harmony, with cultural influences blending seamlessly through assimilation. 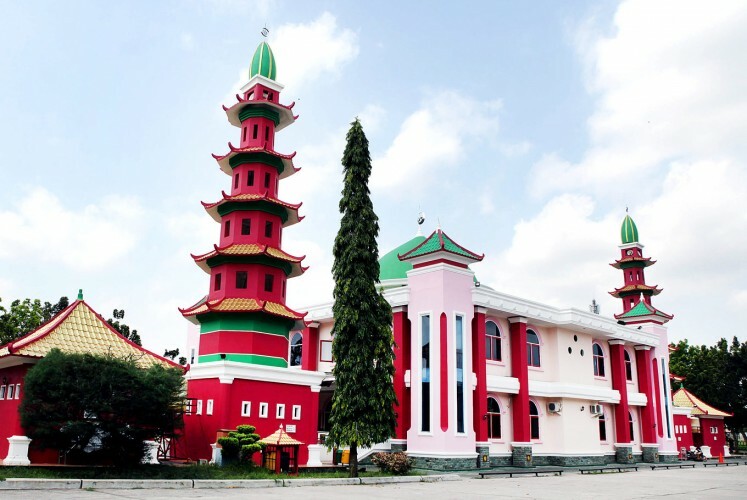 The Chinese influence in local Islamic culture can uniquely be observed at Palembang’s Muhammad Cheng Hoo Mosque. Indonesian sinologist Tan Ta Sen asserts in his book Cheng Ho and Islam in Southeast Asia, published in 2009 by the Institute of Southeast Asian Studies, that most mosques in Palembang had recently abandoned Chinese architectural influence, which feature roofs with slanted corners, similar to the architecture of Chinese temples. Muhammad Cheng Hoo Mosque, however, still retains Chinese architectural influence. 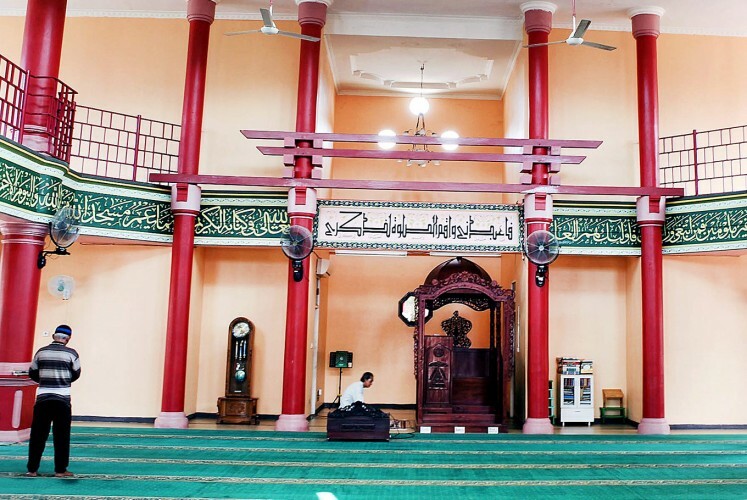 Tucked inside a small residential complex in Seberang Ulu I district, the mosque is a sanctuary where locals refrain from their day-to-day activity to pray or recite the Quran. The mosque’s minaret is shaped like a pagoda, as is a small pavilion located in its compound. The conical shape of the minaret’s rooftop showcases a touch of Persian influence. Inside the mosque, you will see all elements there — from the prayer rugs to its walls and pillars — showcasing a harmonious blend between bright green and fuchsia. Persian and Arabic influences also exist side-by-side with Chinese architectural design at Sultan Mahmud Badaruddin II Grand Mosque on Jl. 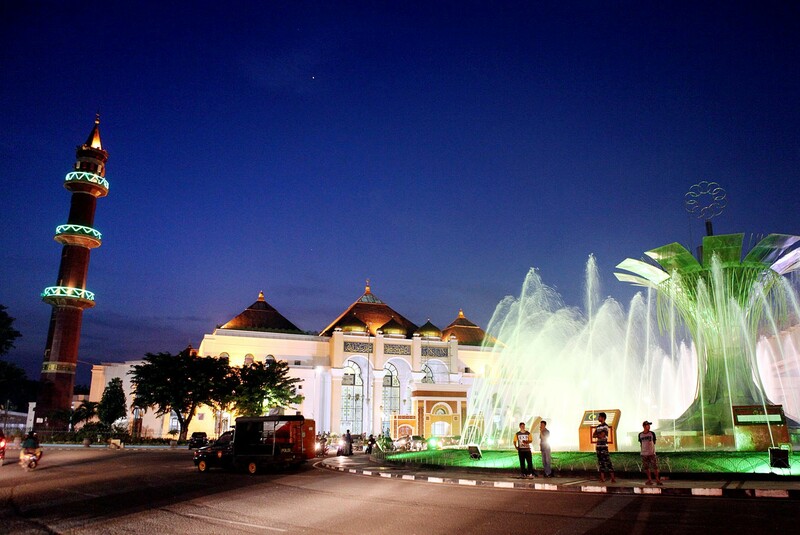 Sudirman in 19 Ilir district, Palembang, a place where Arabic traders had settled in the city. Built in 1738 by Sultan Mahmud Badaruddin I, then renovated in 2000 to 2003, the grand mosque comprises two buildings inside its compound. The first one, where the main prayer room is located, showcases once again the typical Chinese temple roofs with slanted points in their four corners.